You can see that the device is busy, so check out who is using it. umount: /opt/backup: device is busy. Note: You can either contact the users or terminate any open connections yourself. Many of you asked me this question: I read your articles regularly and learned a lot from them. I would like to thank Suresh. How can I help? The answer is simple: Help me grow the blog by personally recommending it to your friends and colleagues. Send them thisLinux Administration Url, and request them to subscribe to the blog. Some of you have been following this blog for a very long time. Some of you subscribed to the blog recently. Irrespective of how long you’ve been following the blog, you already know that my focus is to publish high quality tutorials on Linux that will educate you, and help you learn and explore Linux and open source technologies. 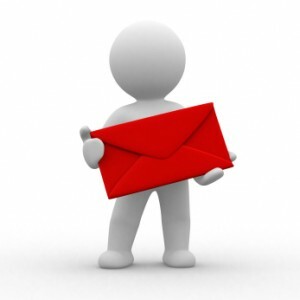 Send an email to your friends and colleagues with the above welcome URL, and with your personal recommendation of the suresh blog. Request them to subscribe to the blog to learn and explore Linux and open source technologies on an on-going basis with us. If your company has an internal mailing list (or newsletter, or forum), post a message in it with your personal recommendation of the blog. If you are student, post a message in your university mailing list and inform other students about the blog, and request them to subscribe to it. When you recommend the blog to others, you look smart for recommending a high quality Linux blog to them, and they benefit by learning and exploring Linux by reading our articles, and you are also helping suresh in this process. PS: I spend tons of time creating high quality articles for the blog to help you. You can thank me by just spending less than 60 seconds to send an email to your friends and colleagues, and request them to subscribe to the blog. You write a C program, use gcc to compile it, and you get an executable. It is pretty simple. Right? Have you ever wondered what happens during the compilation process and how the C program gets converted to an executable? There are four main stages through which a source code passes in order to finally become an executable. 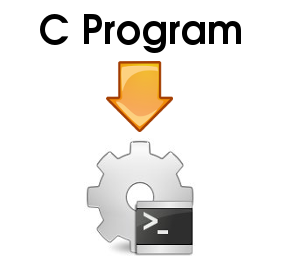 In Part-I of this article series, we will discuss the steps that the gcc compiler goes through when a C program source code is compiled into an executable. Before going any further, lets take a quick look on how to compile and run a ‘C’ code using gcc, using a simple hello world example. Now, lets run gcc compiler over this source code to create the executable. -Wall – gcc flag that enables all warnings. -W stands for warning, and we are passing “all” to -W.
Finally, execute print which will execute the C program and display hello world. Note: When you are working on a big project that contains several C program, use make utilityto manage your C program compilation as we discussed earlier. Now that we have a basic idea about how gcc is used to convert a source code into binary, we’ll review the 4 stages a C program has to go through to become an executable. To understand preprocessing better, you can compile the above ‘print.c’ program using flag -E, which will print the preprocessed output to stdout. Even better, you can use flag ‘-save-temps’ as shown below. ‘-save-temps’ flag instructs compiler to store the temporary intermediate files used by the gcc compiler in the current directory. Now, lets open print.i file and view the content. In the above output, you can see that the source file is now filled with lots and lots of information, but still at the end of it we can see the lines of code written by us. Lets analyze on these lines of code first. The first observation is that the argument to printf() now contains directly the string “Hello World” rather than the macro. In fact the macro definition and usage has completely disappeared. This proves the first task that all the macros are expanded in the preprocessing stage. The second observation is that the comment that we wrote in our original code is not there. This proves that all the comments are stripped off. The third observation is that beside the line ‘#include’ is missing and instead of that we see whole lot of code in its place. So its safe to conclude that stdio.h has been expanded and literally included in our source file. Hence we understand how the compiler is able to see the declaration of printf() function. The keyword ‘extern’ tells that the function printf() is not defined here. It is external to this file. We will later see how gcc gets to the definition of printf(). You can use gdb to debug your c programs. Now that we have a decent understanding on what happens during the preprocessing stage. let us move on to the next stage. After the compiler is done with the pre-processor stage. The next step is to take print.i as input, compile it and produce an intermediate compiled output. The output file for this stage is ‘print.s’. The output present in print.s is assembly level instructions. Open the print.s file in an editor and view the content. Though I am not much into assembly level programming but a quick look concludes that this assembly level output is in some form of instructions which the assembler can understand and convert it into machine level language. At this stage the print.s file is taken as an input and an intermediate file print.o is produced. This file is also known as the object file. This file is produced by the assembler that understands and converts a ‘.s’ file with assembly instructions into a ‘.o’ object file which contains machine level instructions. At this stage only the existing code is converted into machine language, the function calls like printf() are not resolved. Since the output of this stage is a machine level file (print.o). So we cannot view the content of it. If you still try to open the print.o and view it, you’ll see something that is totally not readable. The only thing we can explain by looking at the print.o file is about the string ELF. ELF stands for executable and linkable format. This is a relatively new format for machine level object files and executable that are produced by gcc. Prior to this, a format known as a.out was used. ELF is said to be more sophisticated format than a.out (We might dig deeper into the ELF format in some other future article). Note: If you compile your code without specifying the name of the output file, the output file produced has name ‘a.out’ but the format now have changed to ELF. It is just that the default executable file name remains the same. This is the final stage at which all the linking of function calls with their definitions are done. As discussed earlier, till this stage gcc doesn’t know about the definition of functions like printf(). Until the compiler knows exactly where all of these functions are implemented, it simply uses a place-holder for the function call. It is at this stage, the definition of printf() is resolved and the actual address of the function printf() is plugged in. The linker comes into action at this stage and does this task. The linker also does some extra work; it combines some extra code to our program that is required when the program starts and when the program ends. For example, there is code which is standard for setting up the running environment like passing command line arguments, passing environment variables to every program. Similarly some standard code that is required to return the return value of the program to the system. The above tasks of the compiler can be verified by a small experiment. Since now we already know that the linker converts .o file (print.o) to an executable file (print). So if we compare the file sizes of both the print.o and print file, we’ll see the difference. Through the size command we get a rough idea about how the size of the output file increases from an object file to an executable file. This is all because of that extra standard code that linker combines with our program. Now you know what happens to a C program before it becomes an executable. You know about Preprocessing, Compiling, Assembly, and Linking stages There is lot more to the linking stage, which we will cover in our next article in this series. Today's date is 13th Aug, 2011. You are asked to check the System performance of a Linux server on 7th Aug,2011 between 3 AM to 5 AM. Run the 'sar' command on the respective 'sa' (System Activity) file created for the date "7th Aug,2011" with specifying the Starting and End time. [root@hostxyz sa]# ls -ltr sa?? Notes: In Linux, System activity report is collected for every 10 minutes by a cron job "sysstat" located under /etc/cron.d and at end of the day, a summary report is generated and saved in /var/log/sa/saXX file, which we can use for later analysis. Creating Symbolic links across filesystem are very handy but at the same time, they can be a real pain when they got broken. At my work I often seen Developers wasting their time in fixing application issues, which was fundamentally caused by broken symbolic links. So I came out with this script. Upon execution of this script, it will prompt you to enter the filesystem paths as parameters. Once done, it will report all the broken symbolic links with count number. I used the Perl module File::Find (comes default with any Perl package) for traversing through all the filenames in the specified directories and report the broken links. For each file it finds, it calls the &wanted subroutine, which in turn uses the Stat function to match the symbolic link files which are broken. To be honest, I grabbed this logic from an online book on Perl programming. Supported platforms: Any Unix platform with Perl version 5.x installed. Suppose you want to find all the servers which are Up in Network or in a range of IPs. We may need this information for trouble-shooting purpose like fixing IP conflicts or to get an idea about how many servers are online at a given point of time. The network info can be given as a whole network (say 10.10.22.0/24) or as a range (say 10.10.22.1-40). DNS resolution of 25 IPs took 5.50s. Host 10.10.22.1 appears to be up. Host 10.10.22.2 appears to be up. Host 10.10.22.3 appears to be down. Host 10.10.22.4 appears to be down. Host 10.10.22.5 appears to be down. Host 10.10.22.6 appears to be down. Host 10.10.22.7 appears to be down. Host 10.10.22.8 appears to be down. Host 10.10.22.9 appears to be down. Host 10.10.22.10 appears to be down. Host 10.10.22.11 appears to be down. Host rwbcat01.tcprod.local (10.10.22.12) appears to be up. Host 10.10.22.13 appears to be down. Host rsarash01.tcprod.local (10.10.22.14) appears to be up. Host rdbash01.tcprod.local (10.10.22.15) appears to be up. Host 10.10.22.16 appears to be down. Host 10.10.22.17 appears to be down. Host 10.10.22.18 appears to be down. Host 10.10.22.19 appears to be down. Host xenlashb1.tcprod.net (10.10.22.20) appears to be up. Host webash04.tcprod.net (10.10.22.21) appears to be up. Host webash23.tcprod.net (10.10.22.22) appears to be up. Host xenc1bx-ih.tcprod.net (10.10.22.23) appears to be up. Host gdsash02.tcprod.local (10.10.22.39) appears to be up. Host 10.10.22.40 appears to be down. DNS resolution of 53 IPs took 5.50s. Host 10.10.22.0 seems to be a subnet broadcast address (returned 1 extra pings). Host 10.10.22.243 appears to be up. Host 10.10.22.244 appears to be up. Host l2ash.tcprod.local (10.10.22.250) appears to be up. Host l22ash.tcprod.local (10.10.22.251) appears to be up. Host 10.10.22.255 seems to be a subnet broadcast address (returned 1 extra pings). In many circumstances, we might want to capture all the messages that scrolls on your terminal. This we may require to review details about installations or deployments or to analyze some problem on the server. And this can be used to submit as a proof to Management. SHLVL=2 ß Please observe executing ‘script’ command will take one shell level up. Type “exit” when you want to stop capturing. By typing “exit” once, you will not thrown out of shell prompt since you will be in Shell level 2. Let’s say you have a requirement to copy the contents of folder to another but only the files which AREN’T present in the destination folder. Use the cp command with ‘-aru’ option. You got to notice certain things while doing this; it is explained with the below example here which is self-explanatory. In this example, you got to just notice the time-stamp of each files created under the folder /dir1 & /dir2. 1. Files with same names (b, d & f ) were left un-touched. You can confirm it by timestamps of those files (12.20). 2. It copied all the missing files (a , c & e ) and missing folder (d2) on to the destination folder /dir2. 4. Contents of folder “d1” which is present both in source and destination folder is retained, however it copied the files (key1 & key2) which are present in /dir1 folder. So it didn’t replace the d1 folder on destination. Usage: Use this option when incase the copy which you initiated before got interrupted for some reason. Using this you need not to copy it over again by typing “yes” for over-writing the existing files which are copied before.